You can’t go wrong with adding a patio to your yard. This classic outdoor element provides a spot for the rest of the outdoor features. Patios are a great place to enjoy dinner outside, to entertain your guests and to watch the sunset. In addition, you can choose from a variety of materials for your patio, allowing you to match the aesthetic of the rest of your home. Consider adding a fountain or even a small stream to your outdoor space. Water features add a touch of elegance and peace to your landscaping. It makes your space look beautiful and feel serene. If you need more advice or ideas with your custom home, give us a call. 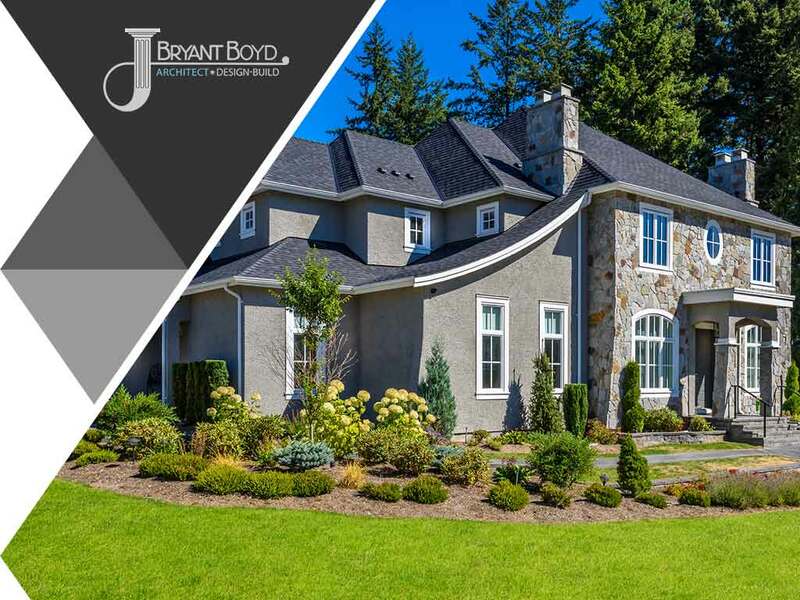 J Bryant Boyd Architect Design-Build is one of the top design-build firms in our area. Built-in grills are excellent for hosting an outdoor party for your friends and family. Outdoor grills are covered, which means you won’t have to worry about the weather. When building your landscape, make sure that there’s plenty of space for preparing the food and for seating the guests. A fire pit is the perfect place for you and your guests to gather and relax. There are many kinds of fire pit designs, like a stone-ringed fire pit, a simple bowl-shaped pit and more. A fire pit is a great investment if you love spending quality time with your loved ones. A pergola is a great visual addition to your outdoor living space and can also provide a bit of protection from the sun and rain. You can fit a pergola with a retractable canopy or use its latticed tops for climbing vines and flowering plants. J Bryant Boyd Architect Design-Build has been providing build on your lot services since 1992. Our designs are inspired by the tradition and rich history of Central Texas. We also use the latest technology and materials when constructing our homes. We will engage in productive conversation and collaboration with you until every element of your new home is exactly as you want it. Call us at (512) 713-1845 to learn more about our services. We serve Georgetown and nearby areas in TX.